Nothing tastes more like summer than a citrusy sip of a Cointreau cocktail. Throw an airy outdoor space and Southern Italian cuisine into the mix, and you may as well be transported to a coastal getaway somewhere in the Mediterranean. Last night, Guest of a Guest took A-list attendees on such a flavorful journey joined by celebrity Chef Mario Batali at his latest NYC hot spot, La Sirena. Hosted at the restaurant's brand new outdoor cabana space, the exclusive soirée saw custom Cointreau Rickeys as well as a pink peppercorn concoction created by Batali himself. Between La Sirena's savory specialties - goat cheese crostata and prosciutto galore! 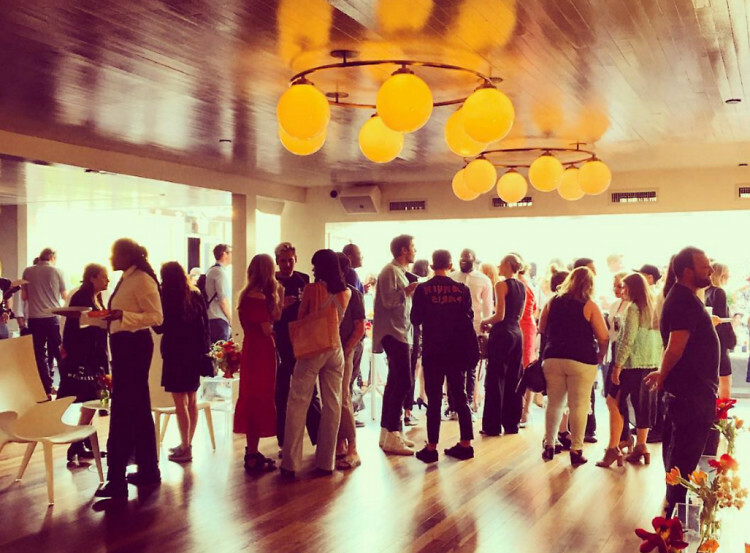 - and the dolce Orange Cointreau Truffles and Cocoa Caramels with Gold Leaf, guests including Sofia Sanchez de Betak, Fern Mallis, and Garance Doré certainly celebrated summer deliciously. Who was there: Guests included Mario Batali, Sean MacPherson, Rachelle Hruska MacPherson, Fern Mallis, Sofia Sanchez de Betak, Alex de Betak, Garance Doré, Peter Davis, Athena Calderone, Douglas Friedman, Carl Quintanilla, Camille Becerra, Michael & Darroch Putnam, Amy Sacco, Becka Diamond, Samantha & Dawn Goldworm, Violet Gaynor, Hanuk Hanuk, and Jon Neidich. Go HERE for more photos by Bryan Bedder/Getty Images!